Wedding season is coming. Not only do I have the pleasure of attending 3 weddings this summer, but my husband and I are celebrating our 10 year anniversary. I actually had some time to week to sit down and make a couple cards. 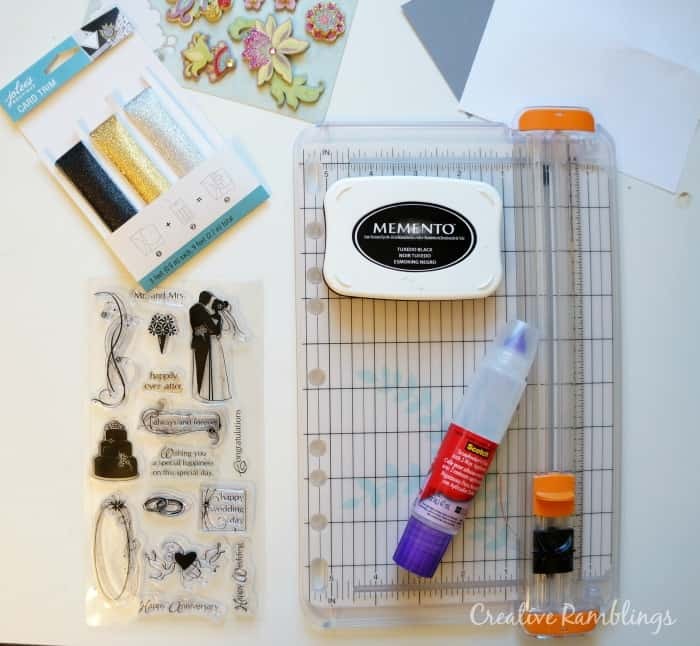 I love paper crafts, but rarely have time to do it as much as I would like. 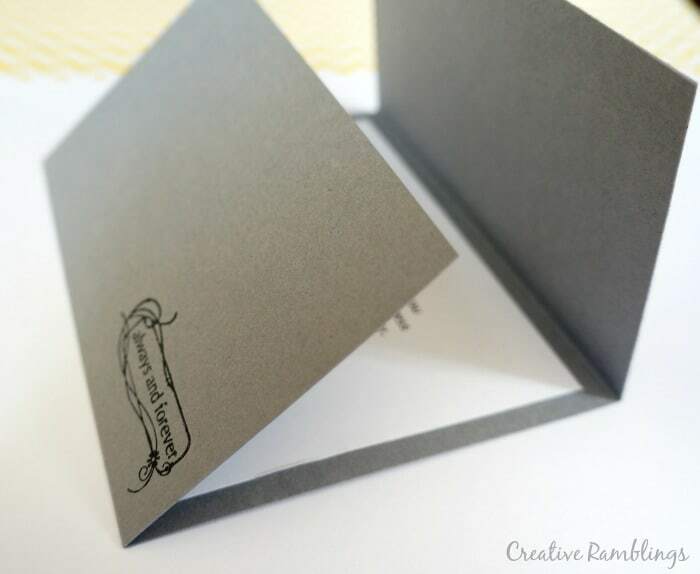 I was so happy with my simple tri fold wedding cards I just had to share. I have been making cards and paper crafts for years. There are a few tools that I just cannot craft without. I have links below to some of my favorites. Some of the links are affiliate links, you can view my full disclosure policy here. I love my Fiskars trimmer with a scoring blade for this. Wedding stamp set and Memento tuxedo black ink. This is my go to black in. It’s a permenant dye ink and looks great, with good coverage, every time. 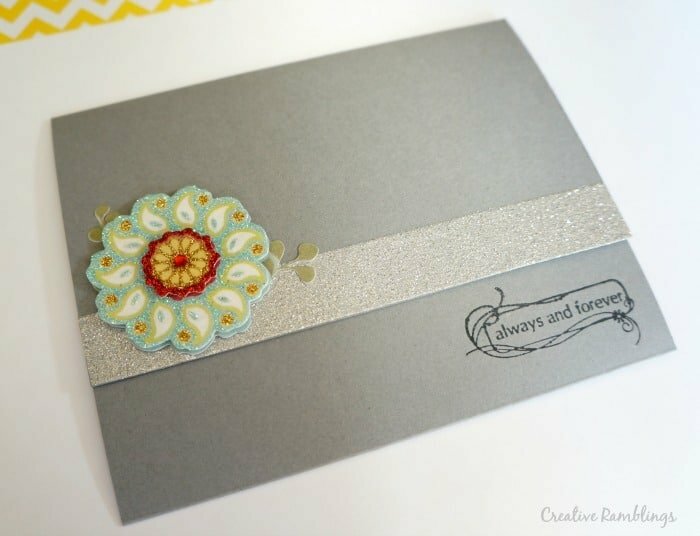 The white card with a fun money holder inside is the same design using different stamps and paper tape. The pocket inside is just a 2.5″ square of pink cardstock glued around the edges. 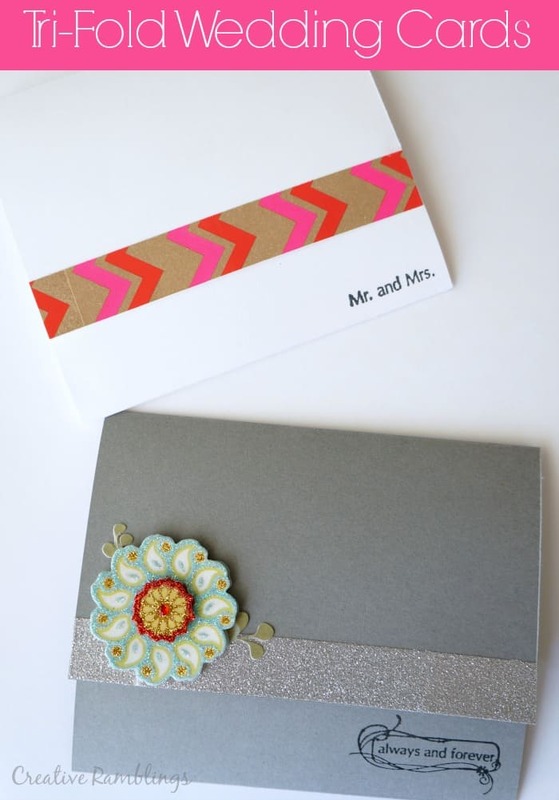 A wedding is such a beautiful occasion it deserves a card and gift with a some love put into it. 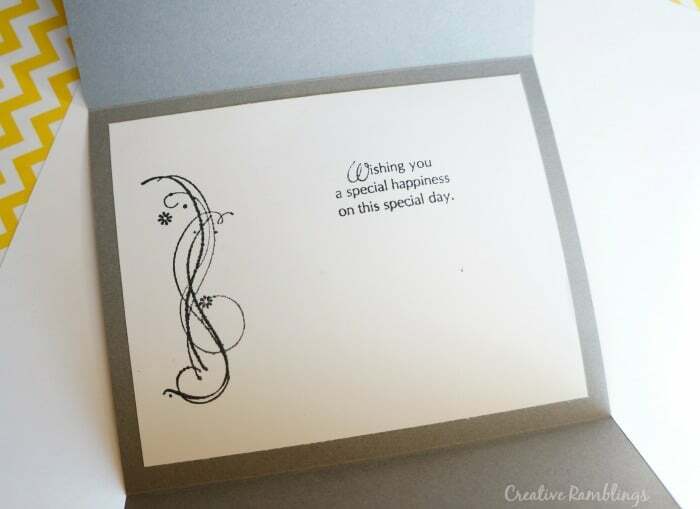 I always leave blank space in my cards to add my own sentiment for the newly weds. Do you are any weddings this summer? 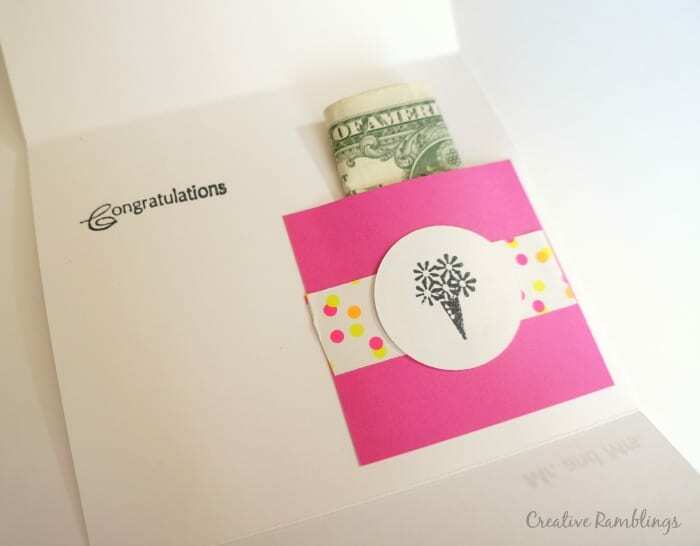 We don’t have any weddings coming up but we do have a couple of graduation parties, I love the little money pouch, I think it will work great for a graduation card! That would be nice in a graduation card, perfect gift for a new grad.